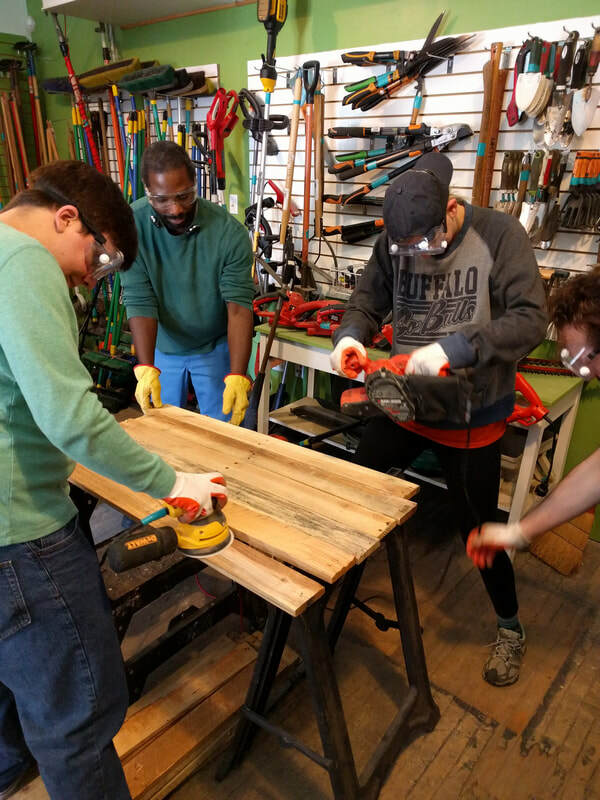 Pallet bench build day at the University Heights Tool Library, Spring 2017. Up-cycled pallet bench installation in the Tyler/Flower Park, Spring 2017. Parks project team after the pallet disassembly workshop at the University Heights Tool Library, Fall 2016. Austin is a sophomore in engineering. This is his second year in ESW and Parks project. He is a dedicated student and loves to get involved in hands-on work. ESW's parks project focuses in on community beautification, as well as local sustainable action. Starting in 2015, after the project was taken over by Austin Izzo, the team took a real role in community engagement. During most of the 2016-2017 school year the team designed and built up-cycled pallet benches. The group worked closely with the University Heights Tools Library and by the end of the year were able to place their beautiful handy work in a park in University Heights. ​This year the project has been taken over by Austin Reese. He and the team are continuing to participate in community clean-up projects and hope to expand to another build project soon!